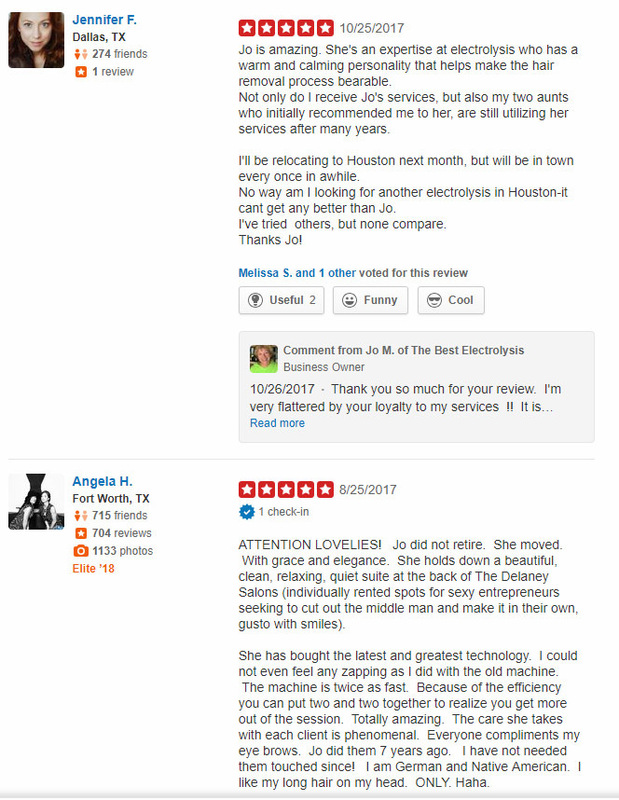 Please be sure to check my current reviews on Google and YELP - I'm very happy to have 5-star client reviews on both! 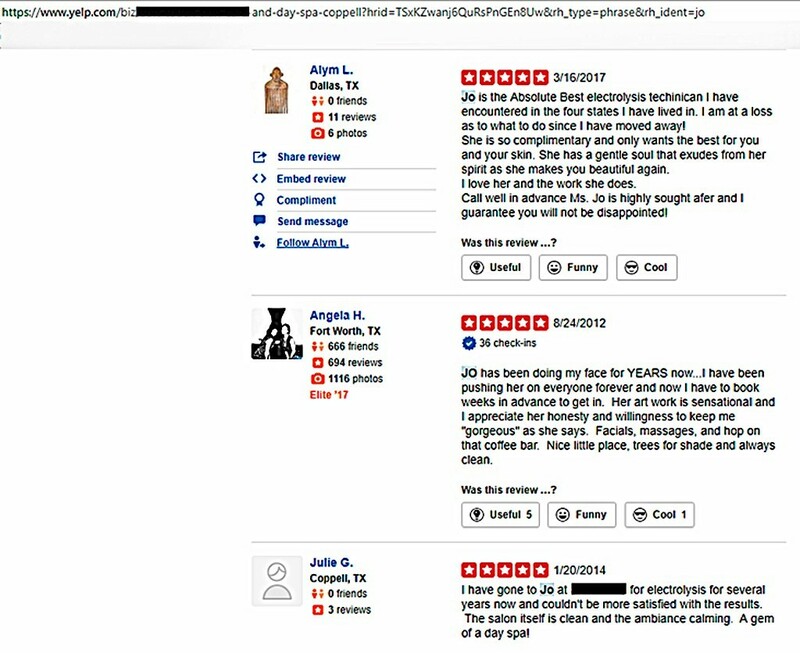 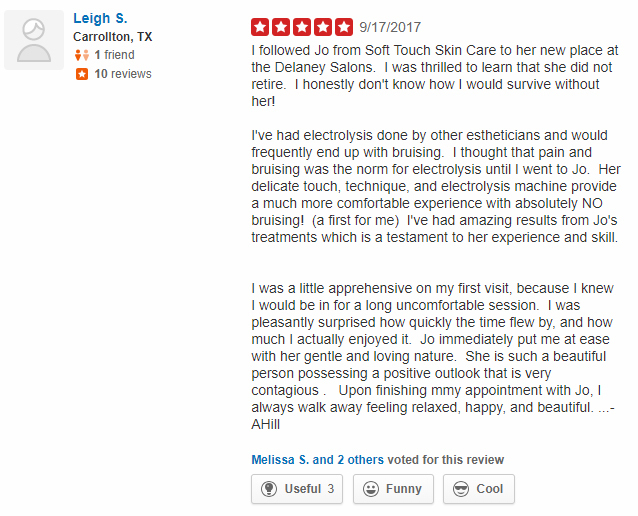 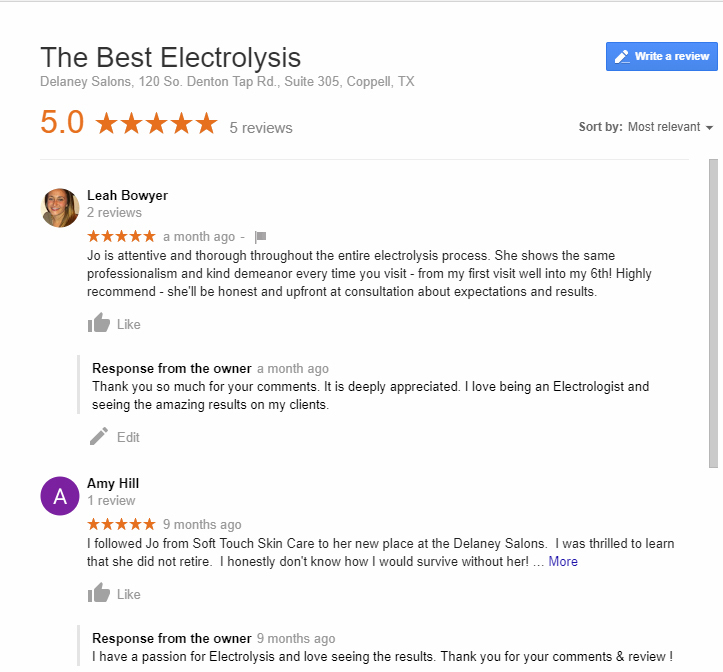 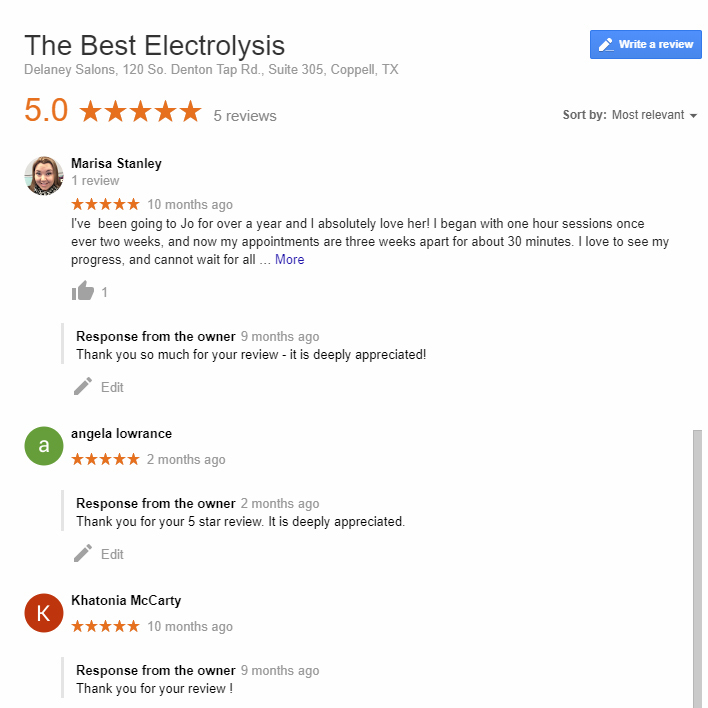 Below are Yelp client reviews from my PREVIOUS employment, a day spa in Coppell, TX. 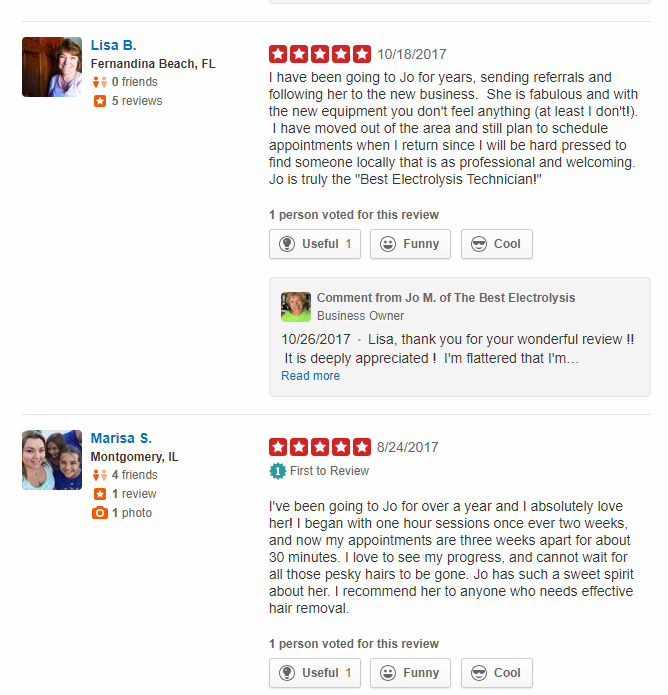 I worked at the spa for over 8 years and opened my own business in May 2017.